If you’re unfamiliar with Twitter, now’s the time for an introduction. The social networking and microblogging service has become a platform for people of all ages—and across widespread demographics and locations—to share updates regarding themselves, their businesses, and their hobbies. As of second-quarter 2015, Twitter averaged 304 million monthly active users. From hashtags about hot news events (like #DeflateGate) to pictures of what they’re eating for dinner, Twitter users actively share some of the biggest and smallest moments of their lives with their followers—and their followers’ followers. Most importantly, for car dealers, Twitter users share their car-buying process in real time. A recent research study conducted by Canvs revealed that more than 327,000 tweets each day mention shopping, owning, wanting, or loving cars. Twitter recently partnered with Canvs to discover what role, if any, these tweets play in the overall car-buying process. Their conclusion may forever change the way you look at Twitter. Conversations about cars on Twitter happen in real time and among real shoppers with real intent to make a purchase. Never before have dealerships had access to the car-buying process without already having a customer relationship. Now, thanks to social media, dealers can find people who are just starting or in the middle of their car-buying experience, then offer them support during what can be a very stressful process. Saying it and doing it are certainly two different things. Just because one person in Indianapolis is tweeting about looking for a new car doesn’t mean a dealership in the Indianapolis metro area automatically sees it and engages with that potential buyer. So how can dealerships take advantage of this mega opportunity? The following are some methods to consider. According to the study conducted by Canvs, there are more than 2.4 million “car-spotting” tweets per year, including more than 70,000 that include the hashtag #dreamcar. Consider initiating a Twitter campaign that engages local users by asking them to share their dream car for the opportunity to win a prize like dinner for two, service credit, or a unique test-driving experience in a “dream car” from your lot. By tapping into the already-popular hashtag, dealers can increase their audience and potentially attract new customers. A Millward Brown study found that Twitter users who see advertisements on both TV and Twitter are nine times more likely to tweet to the brand, four times more likely to retweet the brand, three times more likely to tweet about the brand, and twice as likely to follow the brand. More than 75% of car conversations on Twitter are consumer-driven. This means most tweets are from real people, not manufacturers or dealerships. It’s these conversations that dealerships must be able to tap into in order to maximize their Twitter strategy. 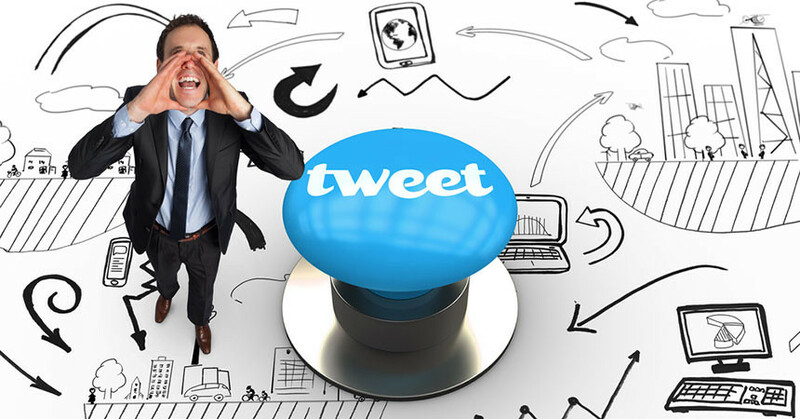 By engaging with consumers while they are tweeting about cars, dealers can increase their odds of making a sale. Still not convinced? Consider this: Twitter and Canvs found 60%of the car-buying conversations on Twitter were in the prepurchase stage, with 30% percent occurring during the purchase. What’s most important to keep in mind is that Twitter allows dealers to influence potential customers in real time. Canvs found that in-market shoppers tend to tweet their intent to purchase a vehicle 72 hours before buying a car. That’s three days your dealership has to bring someone into the showroom. It’s imperative for dealers to share relevant and timely content with these motivated buyers. It’s happening right now. Current and potential customers are having conversations about their car purchases at this very moment on Twitter. Get off the sidelines and start engaging in meaningful conversation that attracts area car buyers and amplifies your social media reach. Nate Marquardt is the co-founder and CEO of ChatterUP, an automotive social media management system that makes it easy for dealerships to deliver their message to more people and brings the right people into the dealership at the right time. With over 12 years of leadership, automotive software, and social media experience, Nate has helped align the marketing and sales strategies for car dealerships through technology since 2001.